A long-awaited update, and some new Image Packs! Apologies for the lack of updates on this module, but here I am trying to play catch-up. 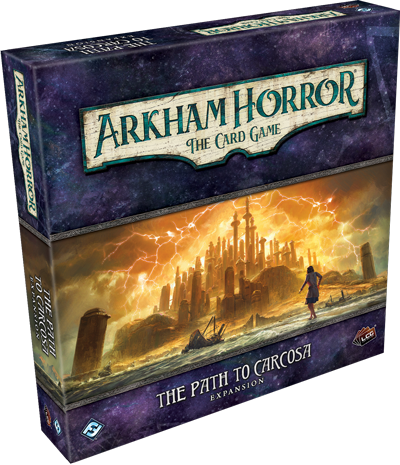 I’ve had some help from outstanding members of the community in keeping the game definition updated with new releases fairly regularly — so the Path to Carcosa Deluxe Expansion and the 1st Mythos Pack in it’s cycle (Echoes of the Past) have already been included in the game for you to play! I’ve now caught up with Image Packs, which you can download here. Thank you for your patience! The Grey Havens are finally upon us! Grab your heroes and set sail on the high seas. This Deluxe Expansion brings with it some highly anticipated new mechanics for sailing, which involve keeping your ship on the proper heading in order to reach your destination. Merry Christmas everyone!!! My present to you guys is the last two APs of the Angmar Awakened Cycle. Enjoy the Battle of Carn Dum and The Dread Realm. I’ve been a bit delayed in releasing Across the Ettenmoors… so to make up for it, I give you FOUR new releases! Across the Ettenmoors is now available, as is the newly released Treachery of Rhudaur. 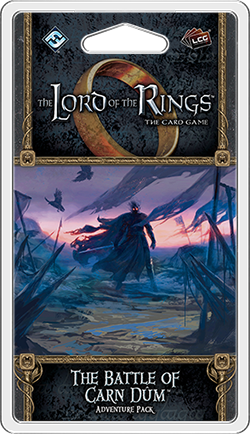 With these new APs, we’re already well past the halfway point in the Angmar Awakened Cycle. 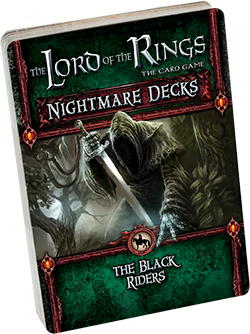 Furthermore, I’ve finally added the Nightmare decks for the first Saga box The Black Riders. I have been a bit behind on my nightmare pack purchases, so I apologize for the delay there. 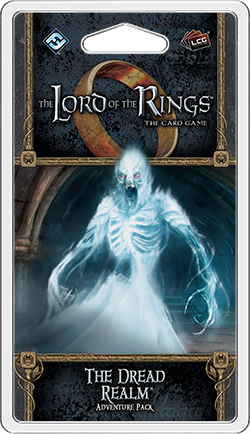 I hope to get the Voice of Isengard Nightmare Decks out before too long. And last but not least, Ian Martin from the awesome blog Tales From the Cards, has graced us with the second custom AP in his Doom Mastered Cycle — which is the cycle built off of his epic First Age custom deluxe expansion! Be sure to re-download and install the Custom.o8c Image Pack to get his shiny cards. EDIT: Added bonus! You can now download the Image Pack for The Lost Realm. Get it while it’s hot! So I had a thought last night, and decided it might be a cool idea to add some new tokens that could act as counters for Willpower, Attack, Defense, and Threat (I don’t know why I haven’t done this before, lol). Check it out! And finally, I’ve been receiving questions lately about how to remove all the custom cards from the Deckbuilder so that it’s easier to build your player decks. Well, here’s a really simple tip that’ll do the trick. Add an Encounter Set filter, select “Equals” from the drop-down menu, and leave the text box blank. That will filter out ALL Encounter cards, and it will filter out ALL custom cards (both player & encounter cards). Now you’ll be left with only the official player cards with which to build your deck. Enjoy! This latest update brings with it a wealth of new content for all of you! GenCon has come and gone, and I’ve been playing catch-up ever since. First off, you can now try your hand at a prison break with the new Escape from Mount Gram scenario. The setup for this scenario is rather unique, due to the fact that you must build a “Capture Deck” by taking select cards out of your main deck. I’ve managed to write a function that can do it for you. After loading up your Player deck, move all the cards from your hand back onto your deck, then right-click the deck, and you’ll find a new menu item called “Quest Specific Actions”. As you’ll probably surmise, I intend to put new functions in this menu group that only apply to one or two specific quests. So, here’s where you’ll find the command to create your Capture Deck, which will then place all Allies, Mount Attachments and Item Attachments into your secondary player deck. Furthermore, since this scenario introduces new keywords and mechanics, I thought it might be nice to include card-sized versions of the rulesheet insert. That way, you have a reference to the scenario’s rules right there on the table. Though keep in mind that these new cards will be blank (just like the other cards) until the Image Pack is released in 6 months. However, I am considering creating and adding these Rulesheet Cards to all the other existing quests in the game. You can check out these cards for yourself over here on BGG. Let me know if you guys would like these cards to show up in OCTGN as well! Next up, we’ve got support for the juicy GenCon releases if you were lucky enough to get your hands on them! The Land of Shadow is now up and running, complete with regular, easy, campaign-regular, & campaign-easy versions of all three quests. Join Frodo as he treks ever-closer to Mordor. I’ve included a Rulesheet card for the first quest, The Passage of the Marshes, as that includes new rules for the Mire keywood. The remaining two quests don’t have any quest-specific rules, so I opted not to make any cards for them. GenCon also brought with it a brand new PoD quest entitled The Ruins of Belegost. Search these ruins for ancient artifacts while taking care not to draw the attention of an ancient nasty dragon who’s hot on your trail. This is an awesome quest that I haven’t yet managed to succeed at yet, but I will keep trying! 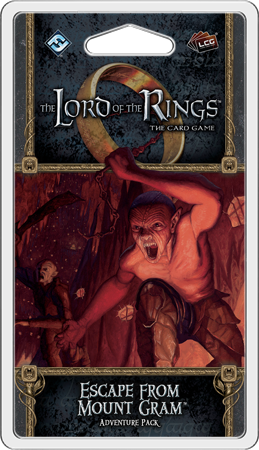 And finally, this latest PoD introduced the second official Alternate-Art card: Gimli! He’s got a slightly updated card template that I’m much more fond of over the Alt Aragorn we got last year. So much so that I took the trouble to update all my custom Alternate Art cards with this new look! Be sure to download the Alternate-Art Image Pack today to get access to these new cards! 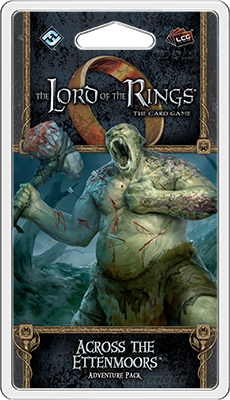 The first adventure pack from the Angmar Awakened cycle has been released! Join Amarthiúl as you race across the Eriador Wilds in pursuit of the captured ranger Iârion. During the journey, you’ll be hunted by Wargs at night, so you’d best make as much progress as possible during the day. 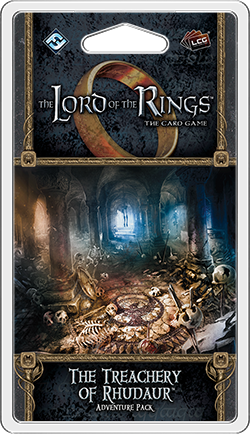 The Spanish Image packs for the Ring-maker Cycle are now available as well. Secondly, user Vardaen returns to us with the 3rd Quest in his “Rise of Orthanc” campaign, entitled “Queer Folk About” (Click the link to see the Quest Sheet Rules Insert). You can also check out his BGG Thread for more information and preview images. Make sure to re-download and re-install the Custom.o8c Image Pack in order to see these beautiful custom cards! And finally, speaking of Image Packs, Celebrimbor’s Secret is now available for you to download as well! Treason of Saruman & more! 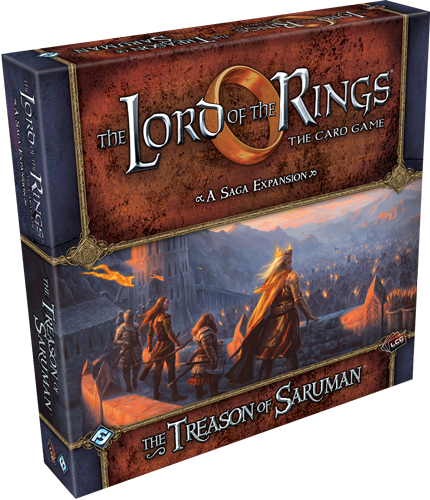 As I’m sure many of you have noticed, The Treason of Saruman set was added to OCTGN a few weeks ago. This release brings with it 12 Scenario decks: 3 Normal Quests, 3 Campaign versions of the Quests, 3 Easy Mode Quests, and 3 Easy Mode Campaign Quests. 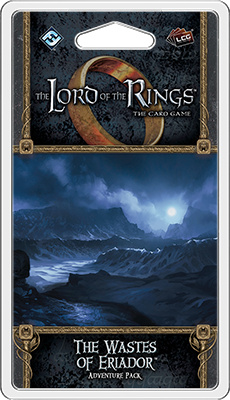 The update I pushed out today also added Fellowship Aragorn to these decks, so you no longer need to include him in your Player Deck when playing these quests. a Sideboard for your deck! In the Deck Editor, you’ll now see a “Sideboard” section underneath “Side Quests”. Feel free to put any cards here you like. 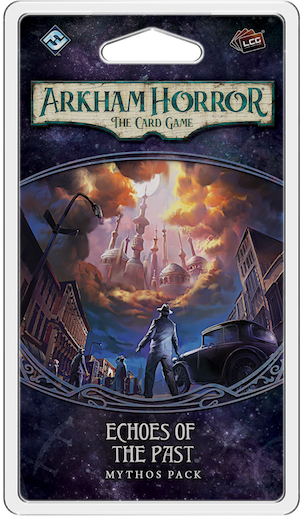 When you load this deck in game, these cards will be placed into a new Sideboard pile on your Player Tab. It starts minimized, and its icon has an “S” on it. Clicking on this pile will maximize it, and you can look through this deck and pull cards in and out of it at your leisure. Some ideas on how to use this new feature: Keep situational or more quest-specific cards in your Sideboard, so you can easily add them into your deck in-game. 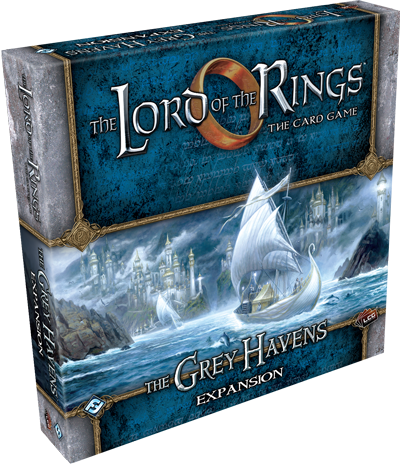 Or perhaps you might like to store your Campaign Cards in this pile for the Saga Expansions. And finally, a quick update about the filters in the Deck Editor. Some of you have requested a way to filter out all Custom cards and only browse the official ones. Some of the suggestions included consolidating all Custom cards into one big ‘Custom Set’ (which I didn’t really want to do), or making the Set filter have a text box instead of a drop-down (which I cannot do due to an OCTGN limitation). So, I added the phrase “Custom Set – ” to the “Encounter Set” field on every custom card. -Enter “Custom Set” into the text box. Voila! You are now looking at only officially released cards!